LoRaWAN, or Lo(ng) Ra(nge) Wide Area Network, is a long-range communication technology that can offer up to about six miles of connectivity. There are some exciting developments afoot in the world of wireless networking. After all, with applications for the Internet of Things limited to a large degree by the ability of the “things” – sensors, controllers, actuators, and so on – to communicate effectively with the IoT platform, wireless is the watchword in 2019. Some legacy implementations of IoT have been limited by the physical structure of the network. Notably, it is sometimes difficult to deploy an Internet of Things project when the network range and battery life of the endpoints isn’t sufficient for persistent, reliable connectivity. Looking ahead, 5G networks promise to alleviate some of those problems, but that is still several years away from widespread adoption. A smart alternative gaining traction right now? LoRaWAN. As abbreviations go, LoRaWAN might be something of a mouthful, but it defines the network architecture for LoRa. LoRa is a long-range communication technology, named, naturally enough, as an abbreviation for Lo(ng) Ra(nge) and pronounced like a woman’s name – Laura. Interestingly, it promises something that few networks today can offer: extremely long range on the order of about 6 miles (10 kilometers). Of course, LoRa trades range for data rate, so it’s limited to a modest 50kbps. That means that IoT projects that rely on LoRaWAN for endpoint connectivity won’t be sending and receiving real-time video feeds, for example. Instead, it thrives in environments that only need to share low-bitrate datastreams. Class A LoRaWAN devices are power-savvy, transmitting asynchronously only when needed and spending most of their time in a low-power standby mode. Class B devices are designed to transmit in predictable, timecode-based patterns so battery-powered nodes can spend most of their time in standby and only wake to listen for a signal at predictable intervals. Finally, Class C devices are intended to be AC-powered, which means they’re awake all the time, able to send and transmit anytime. Currently, LoRaWAN is championed by the LoRa Alliance, an organization that currently boasts more than 500 members across Europe, Asia, and the US, with a goal of enabling large scale deployment of IoT projects with Low Power Wide Area Networks by development and promoting the LoRaWAN open standard. Here in the US there are a number of LoRaWAN operators offering network services, including LORIOT, The New Things Foundation, Senet, and machineQ – but real-world LoRaWAN implementations are happening around the globe. In France, for example, there are dozens of implementations in progress. 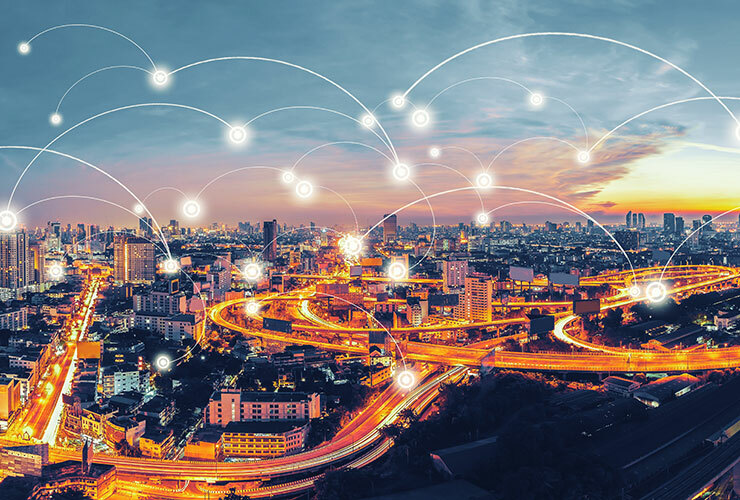 France’s utility company, Veolia, recently began an IoT project to digitize and network three million residential water meters, for example, and LoRaWAN was selected as the connective tissue for this enormous project. There are other projects in progress in industries as diverse as pharmaceuticals, the steel industry, and water processing plants. In addition, a LoRaWAN-powered IoT project is being deployed in Australia by Goanna Ag, a major Australian agriculture company, to bring smarter irrigation management to cotton growers on the continent. A similar LoRaWAN network will connect a cattle monitoring IoT project in Russia. And in South Korea, police are using the technology to deploy a healthcare IoT project to track at-risk Alzheimer’s patients. These are just some of the many LoRaWAN IoT deployments currently taking place around the world. Want to learn how an IoT platform would work with a LoRaWAN project?